When I read the story in this morning’s Washington Post on the 50th anniversary of the shootings at the University of Texas — Austin that left at least 13 people dead on the campus and more than 30 others wounded, I couldn’t help but remember one of my first assignments at the Champaign-Urbana Courier. Bob Gold, the city editor, a man with an infinite amount of patience for young reporters with freshly printed degrees from the University of Illinois, assigned me the local angle of the story — find out from the different departments in engineering and the hard sciences how many faculty members they had attending conferences or guest lecturing there then. Get their names and phone numbers in Austin from the departments and begin calling. This was the second time in a couple of weeks that I had been given an assignment like this. The first one was to get the local angle on the murders of eight nurses in a Chicago townhouse two weeks before the Charles Whitman “Texas Tower” killings. Then the assignment was: Find out how common was it for nurses to live together and use the very large UI Medical Center for examples. Reporting that one was comparatively easy. My mother was a supervisory nurse at the UI Eye, Ear, Nose and Throat Clinic, and she gave me a host of contacts — students and administrators. She said to use her name when calling, but she would not be interviewed. Not surprisingly because of low pay, even R.N.’s, not to mention students, rooming together to hold down costs was common, and the ones I interviewed were fearful about the neighborhoods [near South and West sides of Chicago] they lived in and the odd hours they worked making them vulnerable. I dreaded those calls, but if you are going to be a reporter, you have GOT to make them. I dreaded the ones that I was to make to Austin if I got some numbers. What surprises me now was how easily I got contact information from the departments. 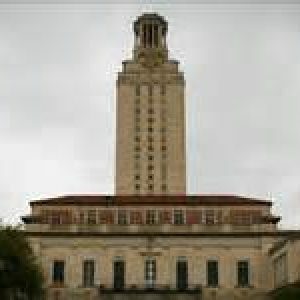 I did get through to a number of UI faculty members who were in Austin; while most of the dozen or so were not on the campus when the shooting began, the few that were described what they heard [mainly] and saw [ducking behind cover]. As I have written before, what I got was a story, not a great one, but one that fed the “daily beast” for the “local angle” and was delivered before deadline for the next day’s street sales edition. Year later, I asked my first wife Nanse, a 1967 Texas grad, if she was there at the time. No, she was working in Corpus Christi.